In the past months we wrote about two exceptional timepieces created by the Geneva-based Akrivia brand: the Tourbillon Monopusher Chronograph and the Tourbillon Hour Minute. Akrivia's founder Rexhep Rexhepi and his team have now gone one step further by creating a timepiece which combines three horological complications not often seen together: a tourbillon, jumping hours as well as a mechanism striking the hours with a silent function. 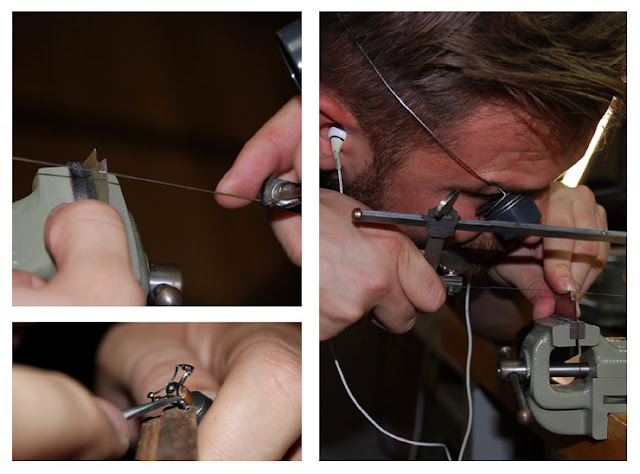 Another demonstration of exceptional watchmaking skills. 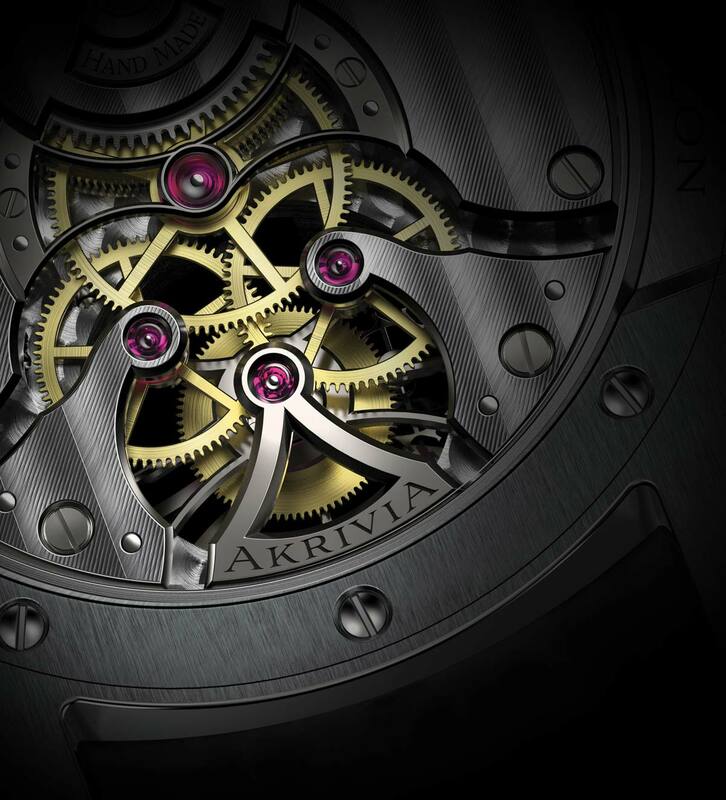 The AkriviA Tourbillon Chiming Jump Hour is equipped with a mechanical manual-winding movement with a single barrel delivering about 100 hours of power reserve. 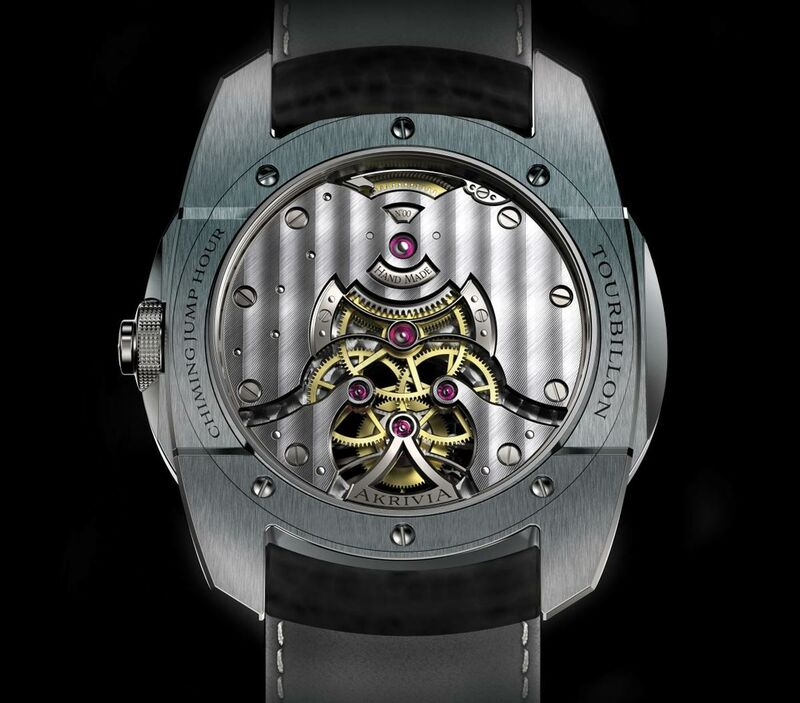 The heart of this in-house developed movement beating at 21,600 vibrations per hour is the 60-second tourbillon, positioned at 6 o’clock, which performs one turn per minute. 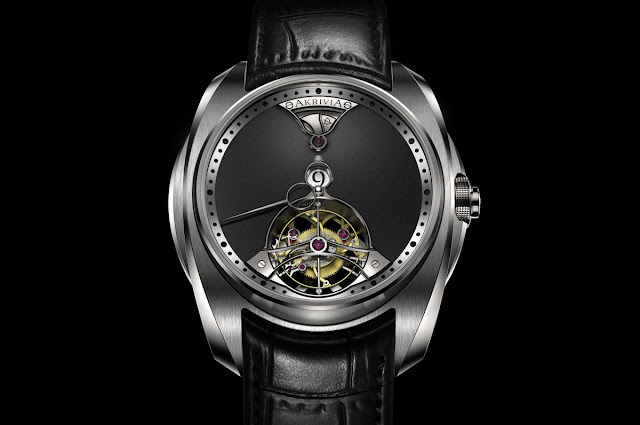 Weighing just 0.36 grams, this tourbillon has a diameter of 13.7 mm. 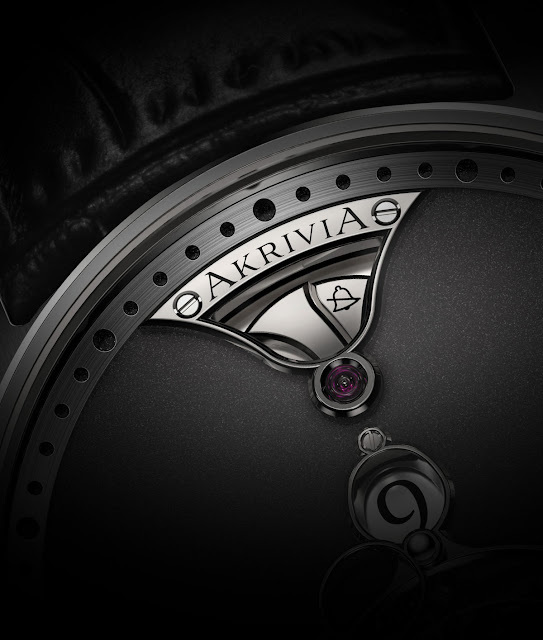 The 43 mm steel case maintains AkriviA's contemporary style and ergonomic design and frames a black steel "mat-polish" dial where the time is displayed through a central hours aperture in association with a single minutes hand. The push button at 3 o’clock, coaxial with the crown, can be used to switch the striking mechanism to silent mode, indicated by the icon on the right of the hammer at 12 o’clock. Although it was a technical challenge, the positioning of the hammer at 12 o'clock was considered an important aesthetic requirement in order to fully highlight this key element in the striking mechanism and maintain symmetry. 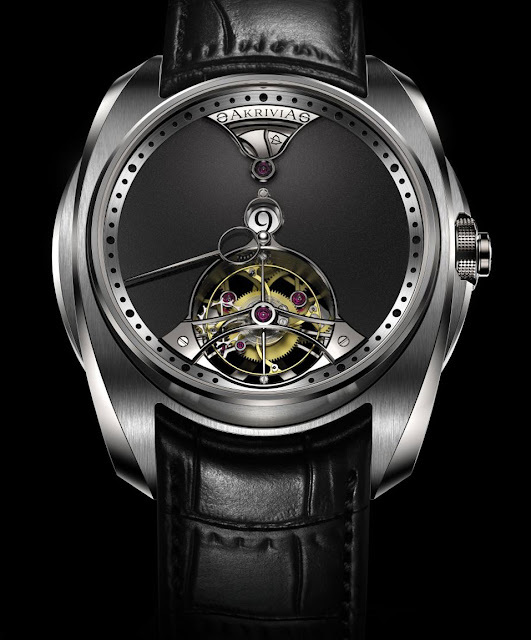 AkriviA Tourbillon Chiming Jump Hour. The AkriviA Tourbillon Chiming Jump Hour is equipped with a mechanical manual-winding movement with a single barrel delivering about 100 hours of power reserve. It combines three horological complications not often seen together: a tourbillon, jumping hours as well as a mechanism striking the hours with a silent function. Price under request.